The St. Clair Theatre Guild will be holding it’s annual General Membership Meeting on Sunday, September 21, 2014. The meeting will begin at 5:00 p.m. in the Guild Building on Goffe St. in St. Clair. There will be a minimum of five and up to a maximum of nine board seats available this year. If interested in joining the board, or know someone you might want to nominate, please contact us prior to the meeting via Facebook or the contact form on the website. 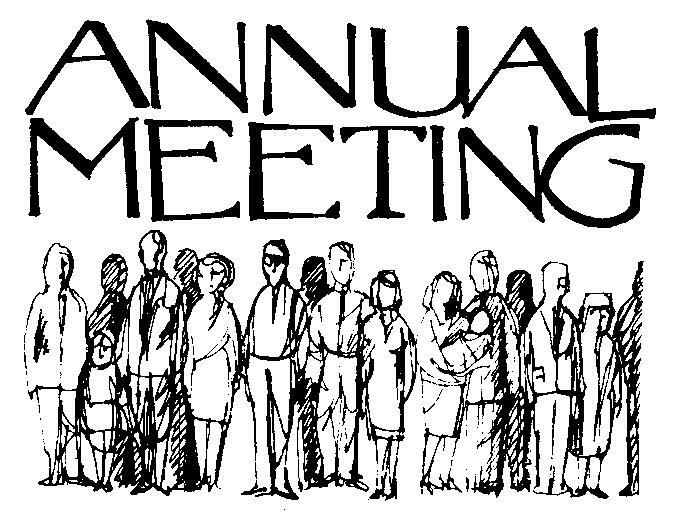 You must be present at the Annual Meeting; dues paid and been active this past year. Come share your ideas on what shows and activities you would like to see the Guild participate in. The board would like to thank Tom, Sharon, Mike and Aaron for their leadership in making SCTG a success this past year. Tom has been instrumental advertising, Sharon with her organizational skills, Mike with his “let’s get moving” attitude and Aaron with the optimism of youth, and all have brought laughter and focus to this year’s board. Sharon and Tom have elected to step down and join the ranks of members at large. Mike and Aaron at large if the membership chooses. We wish them luck as they move on to new adventures and we look forward to their participation in other capacities. Thank you and you will be missed! This entry was posted in News and tagged annual meeting on September 10, 2014 by Tom Kephart.